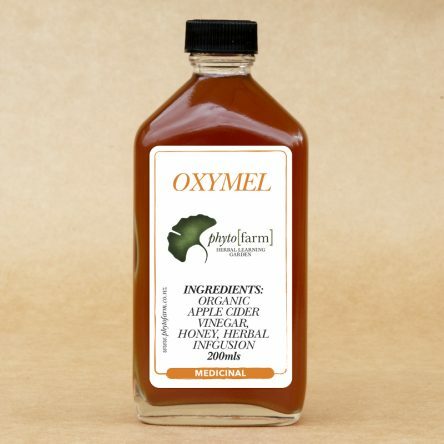 Oxymel is a specialized sweet and sour herbal mixture that combines the sweetness of honey and the sourness of vinegar. The oxymel is used as a carrier for herbal infusions, decoctions, and concentrates. One dessert spoon should be taken 4-5 times a day as a gargle, or swallowed for sore throat and nasal conditions.